I got kicked out of my Hogwarts house the other day. I’m a huge fan of the Harry Potter series, so back when pottermore.com first came out I logged on, played the games and IMPORTANTLY got sorted into my house. I was proud of my house. Yes, I know it was a fictional group but I was still proud. When I was sorted I was a hatstall. The sorting hat gave me the option of Gryffindor or Hufflepuff and I proudly chose Hufflepuff. Side note: some people have been surprised when I’ve said that, as if Hufflepuff is the left over group. The kind, caring, loyal, nature loving, food loving group who produced Tonks and Luna. I rooted for Gryffindor along with everyone else during the books, but if I was going to experience it then I felt that Hufflepuff was the better house for me. 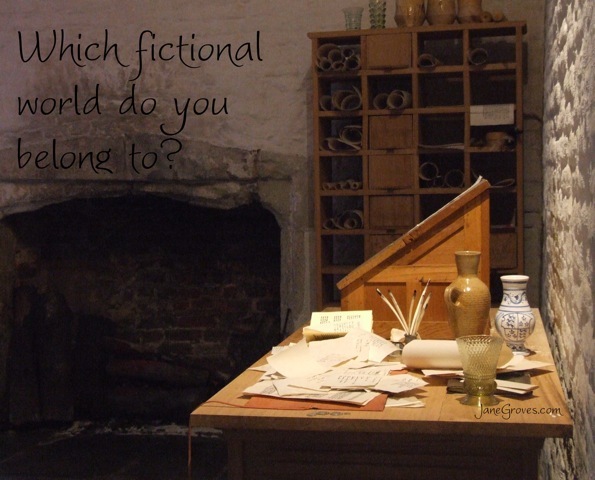 Yes, I’m guilty of over-thinking fictional worlds. Yes, I’m an adult. Yes, I’m having fun. Anyway, as some of you will know pottermore.com changed again to move in line with the new creations like Cursed Child and Fantastic Beasts & Where to find them. Out of curiosity the other day I had a look at the website. It asked if I wanted to keep my old information or be re-sorted. This is where it all goes wrong. I thought, yeah I’d love to see if they have updated the sorting method and I’m no longer a hatstall. So I clicked through the questions and got to the end. Hooray I thought, I’m no longer a hatstall. Oh, but, um, wha…?!?!? Don’t get me wrong, I like Ravenclaw and when I was over the initial shock of it I can see the elements of my personality that it fits. It’s just that I had come to think of myself as belonging to one fictional group and now I’ve been ousted. In fact I accidentally ousted myself. Now of course, like any personality based test you can look at the other groups and see how parts of you fit into other options. No one if just one thing. Even in the Harry Potter stories the characters are almost in other groups – Harry in Slythern, Hermione in Ravenclaw, Ron could have also been in Hufflepuff, I believe the twins could have also been in Slythern etc. It’s just that you choose what group you want and off you go. Well now I’ve been given three of a possible four options and I’m confused about where my fictional loyalties should lie. Or maybe I’m just missing the point. It’s not the house within Hogwarts that I should worry about but just that I’m loyal to the Harry Potter series. This is one of the reasons I want to be a fiction writer. Some fictional worlds reach beyond the page (or screen) and give joy to so many people. They think about it long after they close the book. They have Pinterest boards devoted to it. They talk about it on tumblr. They find joy in talking to others who share their love. That’s one of the powers of fiction and I want to be a part of it. Creating as well as consuming. My hope is that one day I will give that joy, not to the millions (billions?) who have loved Harry Potter, but to my own readers. Not every story manages to reach out of the page, but I hope that sometime in the future I will manage to create that for someone. So thank you J K Rowling for giving me a wonderful world to fangirl about. It doesn’t matter if I’m a Ravenclaw or a Hufflepuff, I love Hogwarts. What about you? Have you ever been ousted by a fictional group? What do you fangirl (or boy) about?